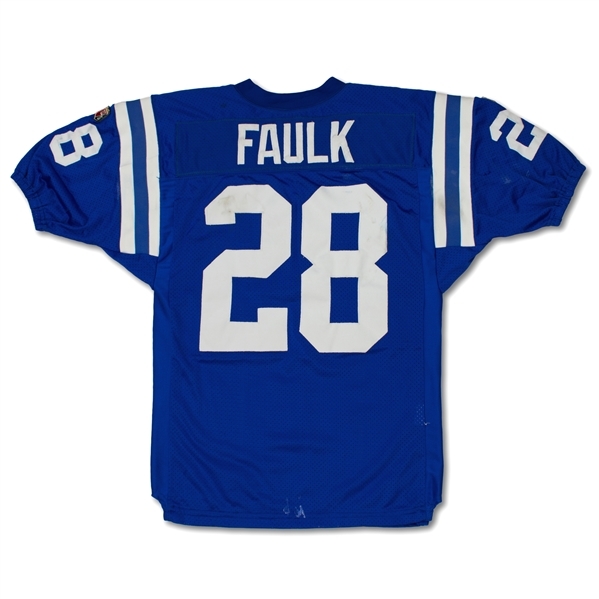 Presented is an Indianapolis Colts home jersey worn by Marshall Faulk during the 1995 NFL season. 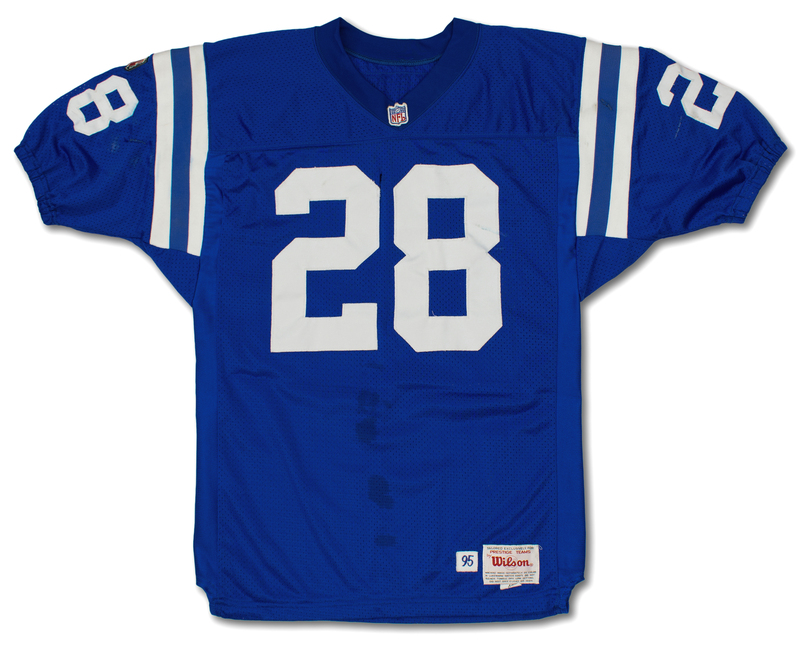 The jersey shows outstanding use with repairs, holes, hit marks and face mask transfers. The Wilson size 46 jersey is tagged "95". 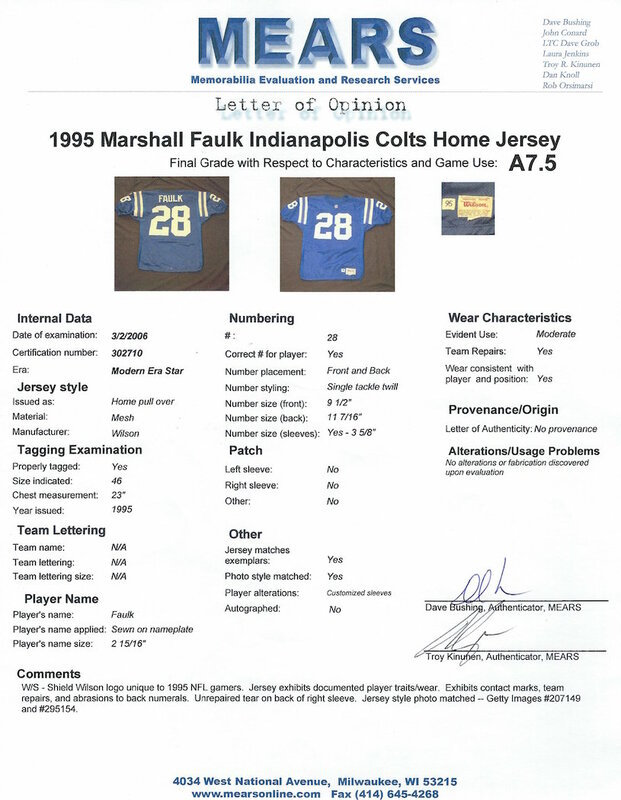 The garment is accompanied by a letter of authenticity from MEARS that graded the jersey A7.5. Faulk is one of the most versatile running backs on all-time with a dynamic range of skills which included blazing speed, hands list a receiver, and unparalleled agility.